Huuge Nokia X7 next to life sized Optimus Prime! Well would you look at this. 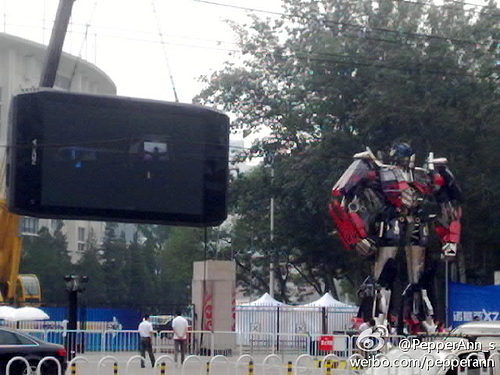 First, there’s a freaking life sized Optimus Prime there. Then, there’s a gigantic Nokia X7 next to it. The X7 has been associated with the latest transformers movie quite a lot, X7 transformer launch, starring in transformers, X7 transformers advert.